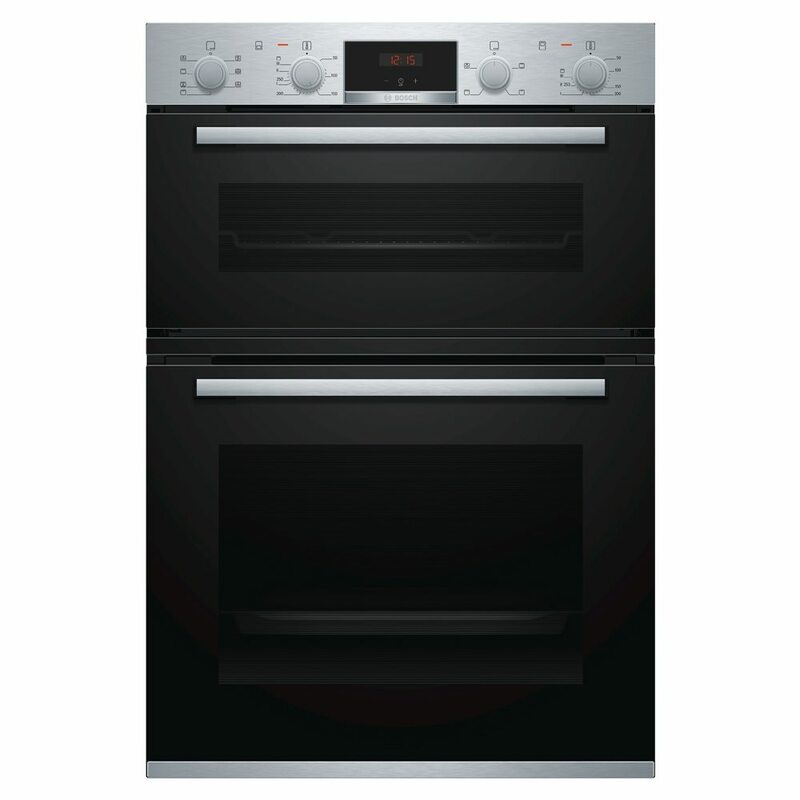 This Bosch double oven in brushed steel with bar handles, retractable dials and triple glazed cool touch doors looks really impressive. 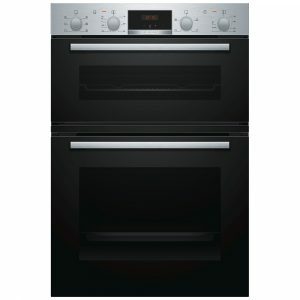 It has a massive 105 litre total capacity across the two ovens. 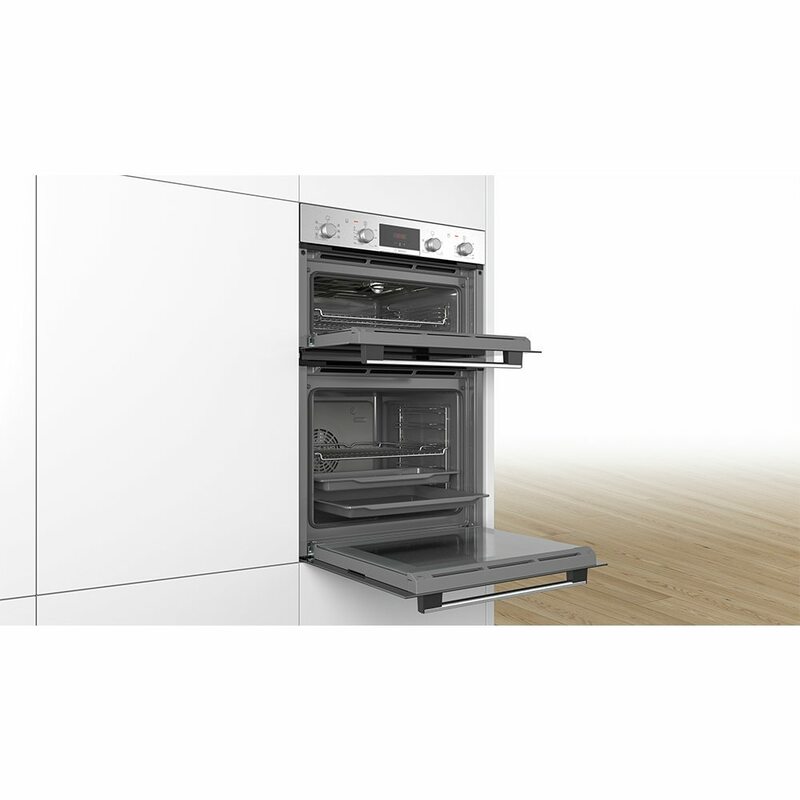 The main oven has 3D Hot Air technology which ensures that food is cooked evenly across all shelves with no transfer of flavours. The second oven / grill is great additional cooking / warming / grilling space. You won’t have to spend hours cleaning the main oven either as Bosch has given you eco clean liners which makes cleaning a doddle! 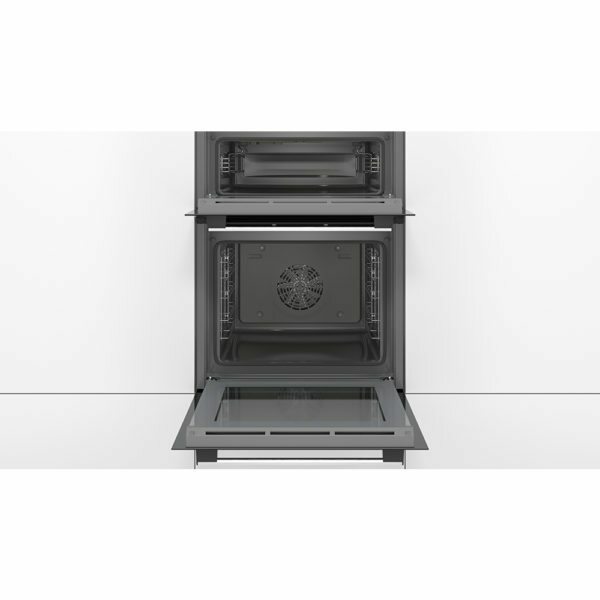 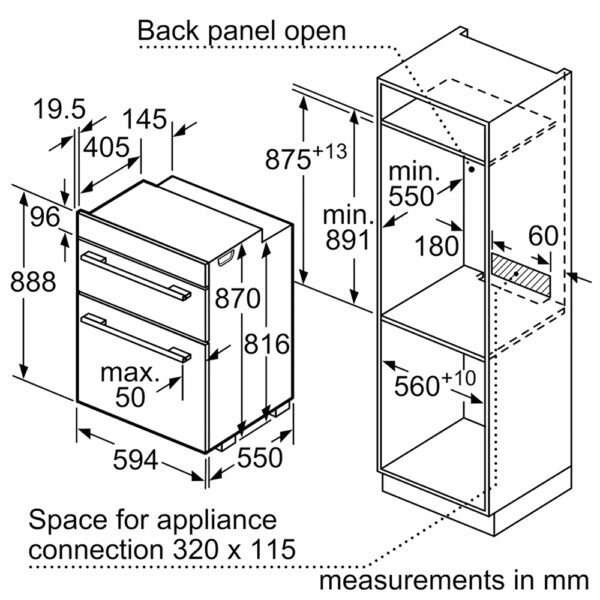 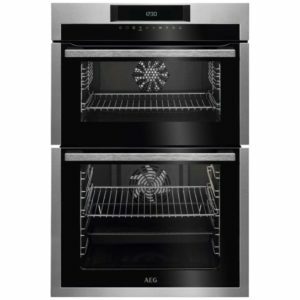 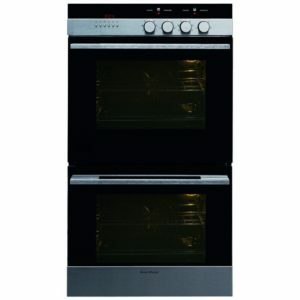 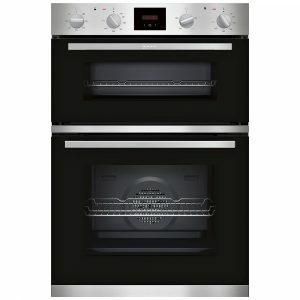 This oven must be fitted in a tall housing unit, which with it being sited at eye level, makes it a real showpiece.